Iran and the Southern Caucasus is a region of breathtaking scenery dominated by magnificent mountains, sublime lakes and exquisite religious architecture. Treasures of Persia and the Caucasus is a remarkable 30-day journey to Iran, and the lush green heart of the Caucasus – Armenia, Georgia and Azerbaijan. 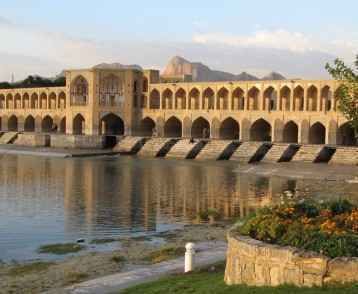 Our tour begins in the unspoilt cultural treasure-trove of Iran. 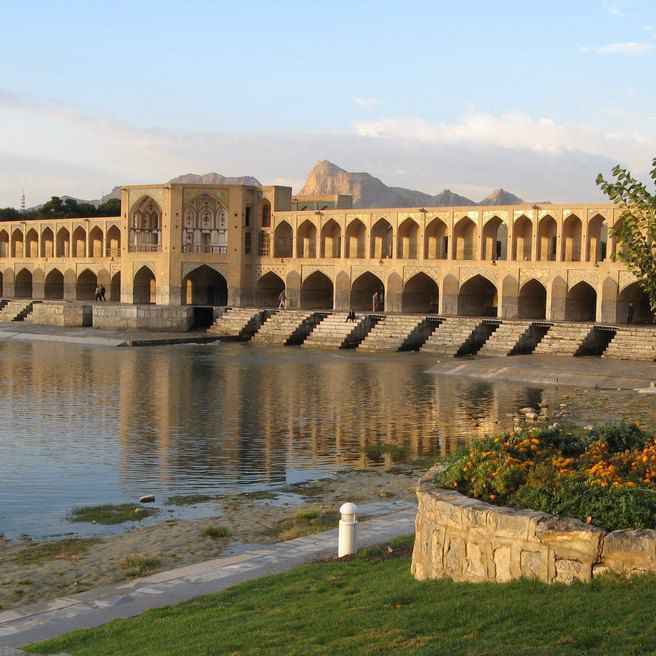 Renowned for the overwhelming hospitality and friendliness of its people, Iran has a vast amount to offer – from magnificent ancient cities to glorious mosques and mausoleums. We begin in the beautiful city of Shiraz before heading north to the ancient desert city of Yazd. En-route we visit one of the most important sites of the ancient world – Persepolis. 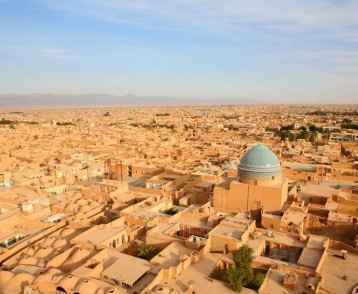 From Yazd we drive across the desert to the mystical city of Isfahan, famous for its vast square and beautiful bridge of Shahrestan and Khaju. 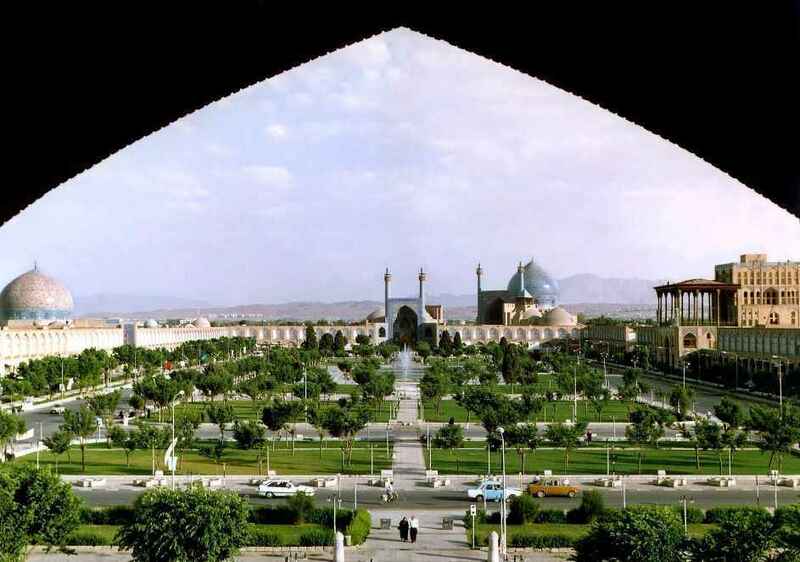 Next we travel to the desert town of Kashan before continuing on to the capital Tehran. 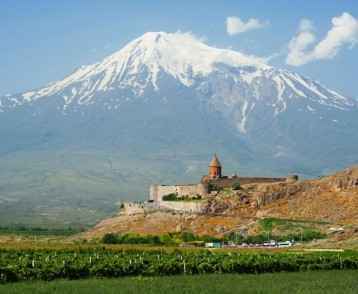 Crossing the border into Armenia – the Cradle of Christianity – we head to the Armenian capital, Yerevan, with its imposing views of Mt Ararat where the ark landed as the flood waters receded. This country which lies west of Turkey between Eastern Europe and Western Asia was the first to adopt the Christian faith in 301 A.D. We also visit ‘The Pearl of Armenia’ Lake Sevan, and World Heritage-listed Geghard Monastery before moving on to the heart of the Caucasus, Georgia, with its fabulous cuisine and culture, incredibly diverse landscapes, and exceptionally warm and friendly people. The delightful capital, Tbilisi, is a maze of charming, winding streets, giving a flavour of old Persia. We then move on to little-visited Azerbaijan, beginning in the ancient city of Sheki before heading to the capital, Baku, on the Caspian Sea. 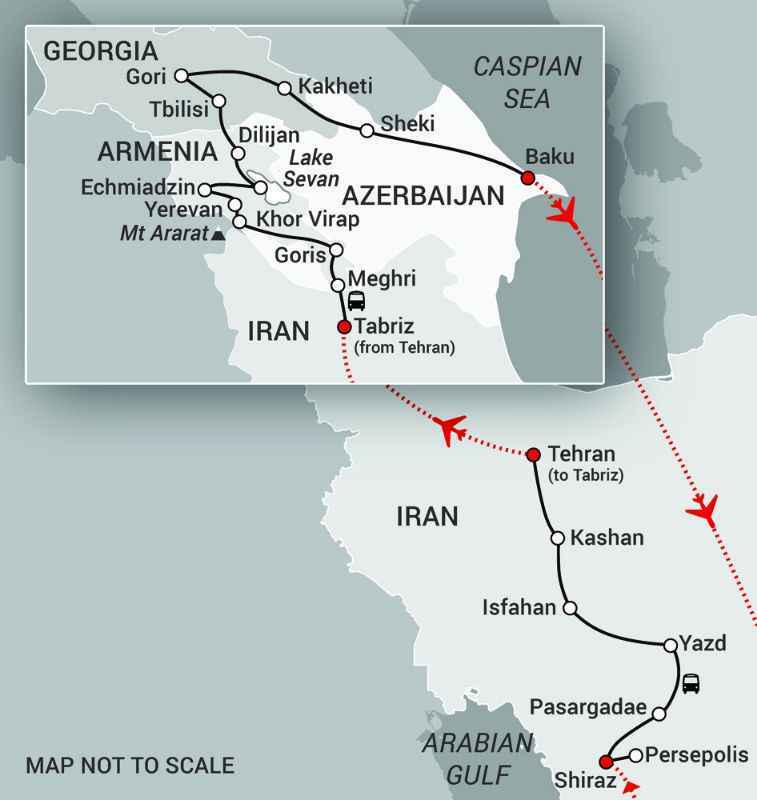 Join us for a truly memorable journey to extraordinary Iran and the beautiful Southern Caucasus. Depart from your chosen Australian airport for your flight to Dubai. After clearing customs and immigration formalities we transfer to our hotel. The afternoon is at leisure. 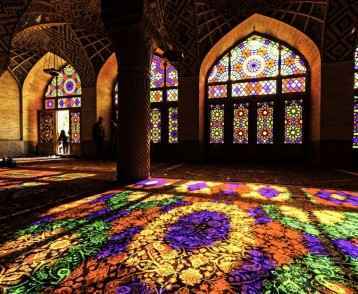 Shiraz is a beautiful city conjuring up vibrant images of ancient Persia. Today we explore the city and visit some of the exotic gardens. 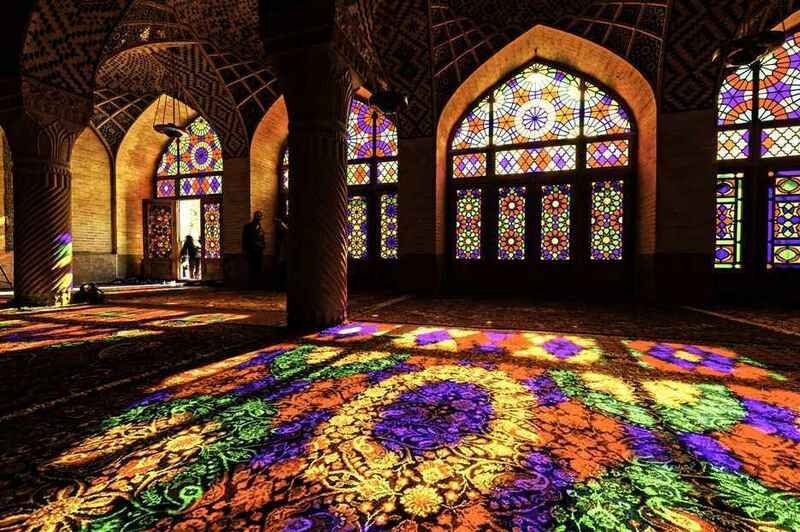 In the afternoon we visit the pink-tiled Nasir-ol-Molk Mosque which features beautiful stained glass windows in the Winter Prayer Hall. Later we explore the 18th century citadel, Arg-e-Karim Khan, originally used by the king as living quarters and later converted to a prison. 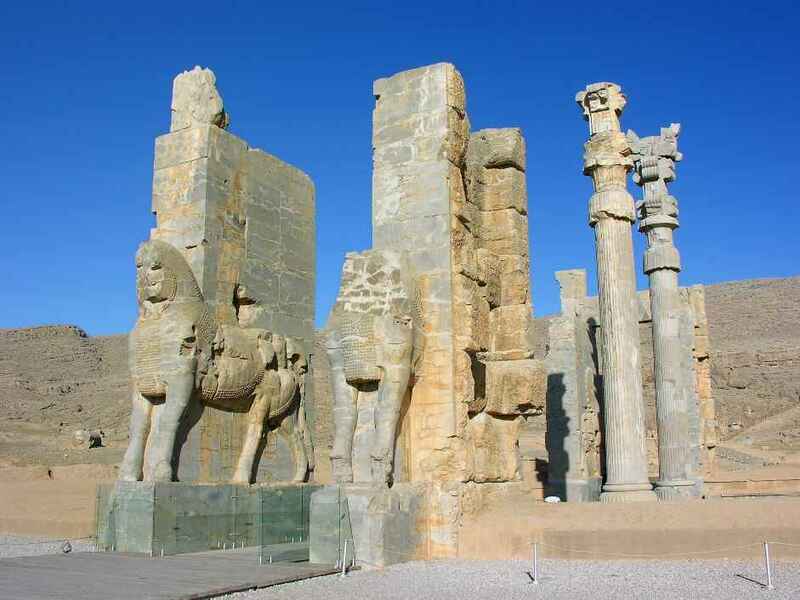 After breakfast we drive to the ancient city of Persepolis. 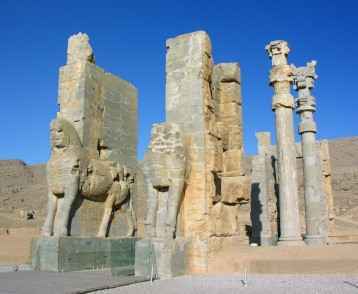 One of the most important sites of the ancient world, Persepolis was the former ceremonial capital of the Achaemenid Kings. 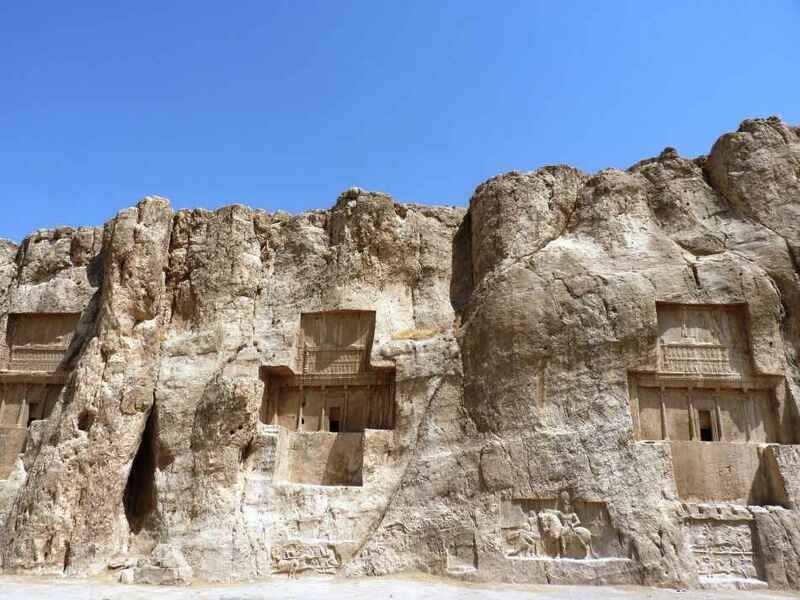 We then drive 5km northwest of Persepolis to the imposing site of Naqsh-i-Rustam in the mountain range of Husain Kuh, where Darius the Great and his successors had their monumental tombs carved into the cliff. 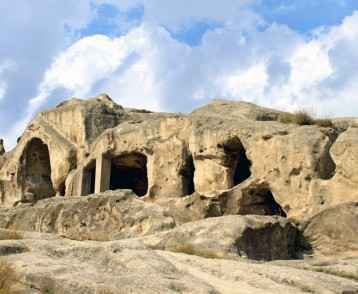 The dramatic facade of the tomb is constructed like a cross with an entrance leading into the tomb chamber, cut deep into the rock. 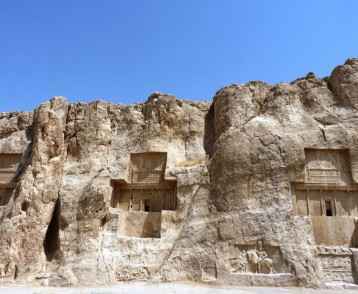 Today we drive to the amazing archaeological site of Pasargadae, which was established by King Cyrus the Great in the early 6th century BC. After exploring the site we continue on to the ancient desert city of Yazd, unique for its intriguing architecture. 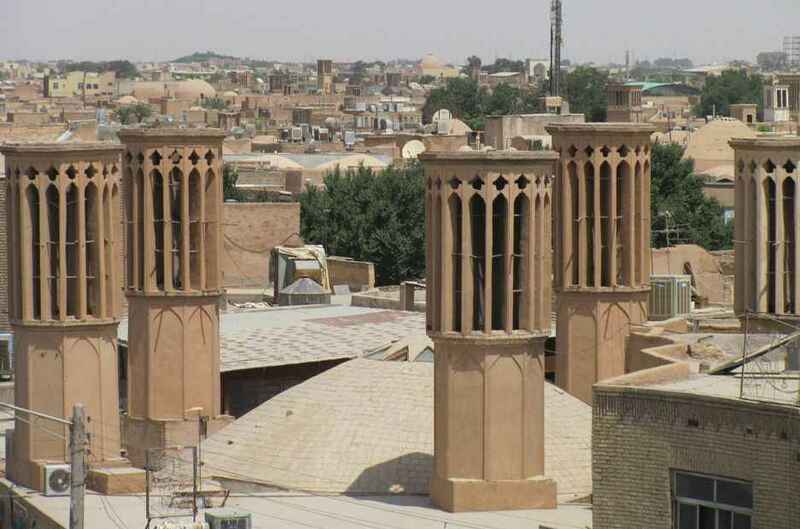 To deal with the extremely hot summers, many old buildings in Yazd have magnificent wind catchers which catch draughts and direct them to the dwellings below for cooling. 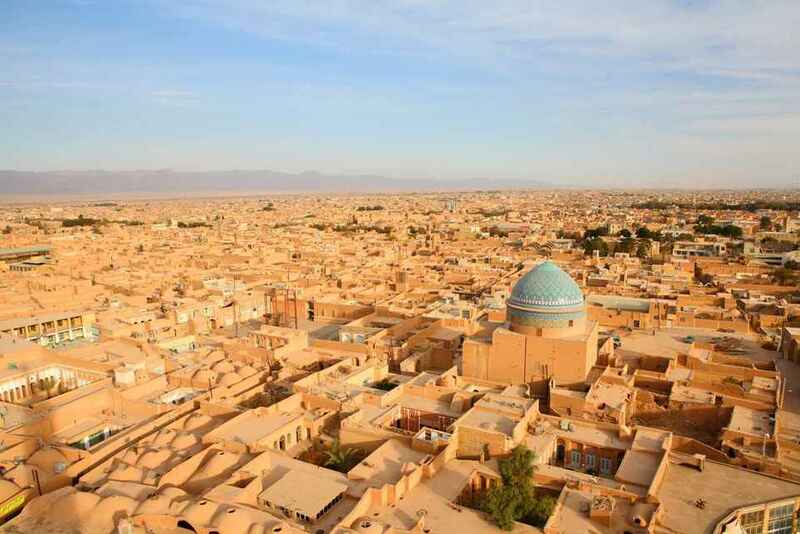 Yazd is of foremost importance as a centre of Persian architecture. It is also one of the largest cities built almost entirely out of adobe, a mixture of sand, clay, water and organic fibrous material. 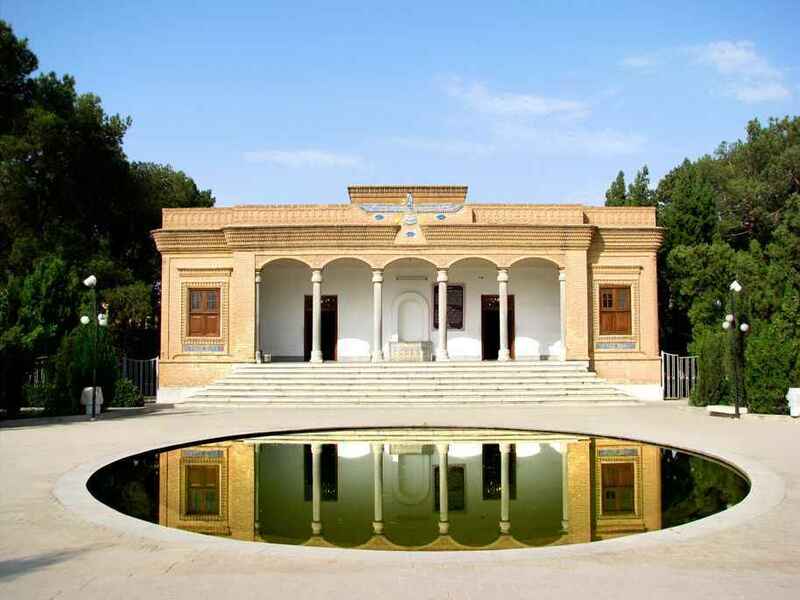 Yazd’s heritage as a centre of Zoroastrianism is also important. 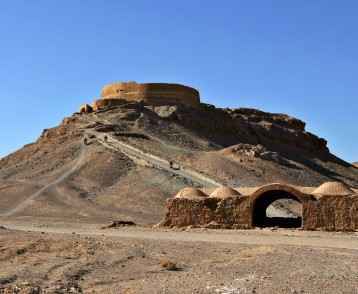 There is a Tower of Silence on the outskirts, and the city itself has a Fire Temple, which holds a fire that has been kept alight continuously since 470 AD. Today we spend a full day exploring this fascinating city. Today we drive 270km across the desert to Isfahan. 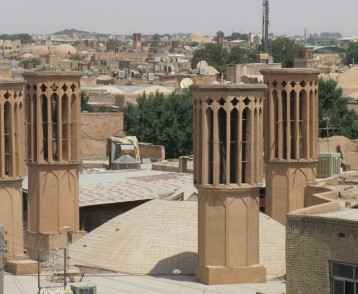 En-route we stop at the charming desert town of Na’in, a pre-Islamic town more than 2000 years old. Here we visit the 10th century Friday Mosque and the 17thCentury traditional Pirnia House. After strolling through the old part of the town, we continue our drive to the mystical city of Isfahan, arriving late afternoon. Today we immerse ourselves in the beautiful architecture and culture of Isfahan, the 17th century capital of the Safavids. We visit the magnificent Friday Mosque and the Chehel Sotun Palace. Chehel Sotun, meaning ‘Forty Columns’ in Persian, was inspired by the twenty slender wooden columns supporting the entrance pavilion, which, when reflected in the waters of the fountain, appear to be forty. 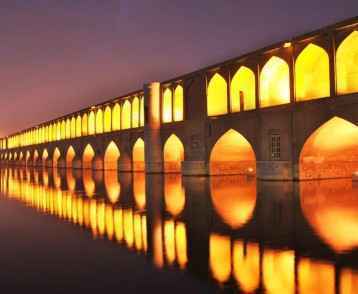 In the evening we walk across the beautifully illuminated Khaju Bridge, a pedestrian bridge famous for its 23 ornate arches. 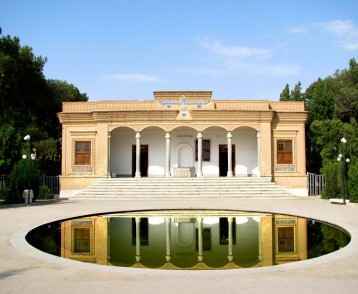 We continue to explore Isfahan today visiting the Hasht Behesht Pavilion, or ‘Palace of Nightingales’, built in 1670 and set amongst tree-lined alleys, a reflective pool and small streams. After lunch we visit Isfahan’s famous square, Naghsh-e-Jahan, commonly known as Imam Square, one of the grandest squares in the world. 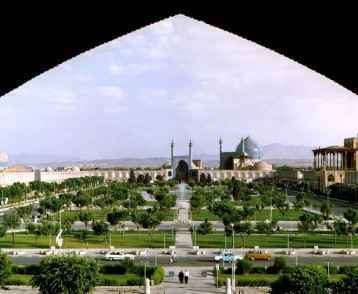 It is surrounded by Ali Qapu Palace and two of the Islamic world’s greatest mosques, the Sheikh Lotfollah and the Shah. After breakfast we begin our drive to Tehran. After two hours we sight Iran’s controversial nuclear energy plant which is ringed by anti-aircraft batteries. Soon after we reach the charming town of Kashan. Between the 12th and the 14th centuries Kashan was an important centre for the production of high quality pottery and tiles. In modern Persian, the word for a tile (kashi) comes from the name of the town. In the afternoon we drive past the holy city of Qom. As the motorway ends we see the spectacular shrine to Ayatollah Khomeini and soon after we enter the modern metropolis of Tehran. This morning we begin a city tour of Tehran including the Golestan Palace complex which consists of 17 palaces, museums, and Halls. Almost all of this complex was built during 200 years of Qajar kings ruling. These palaces were used for many different occasions such as coronations and other important celebrations. After breakfast we visit the Royal Sad Abad Palace complex which was the former residence of the last Royal Family of Iran and is now a museum. After lunch we transfer to the airport for our flight to Tabriz. 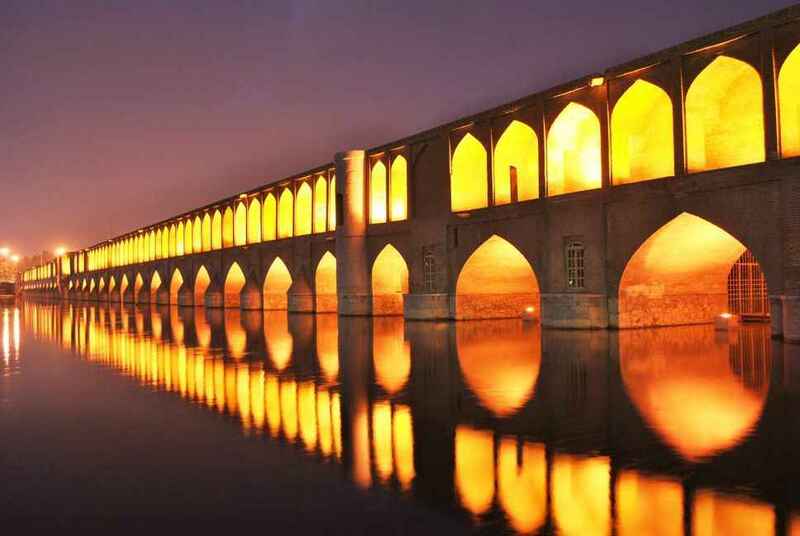 Tabriz is the gateway to Turkey in the west and the Caucasus to the north. It is therefore one of the most important strategic cities in Iran. 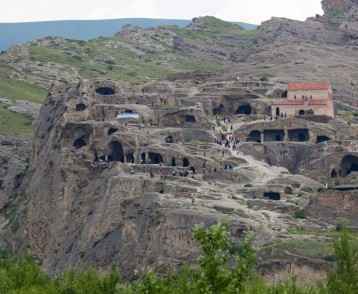 After breakfast we visit the remarkable rock village of Kandovan. 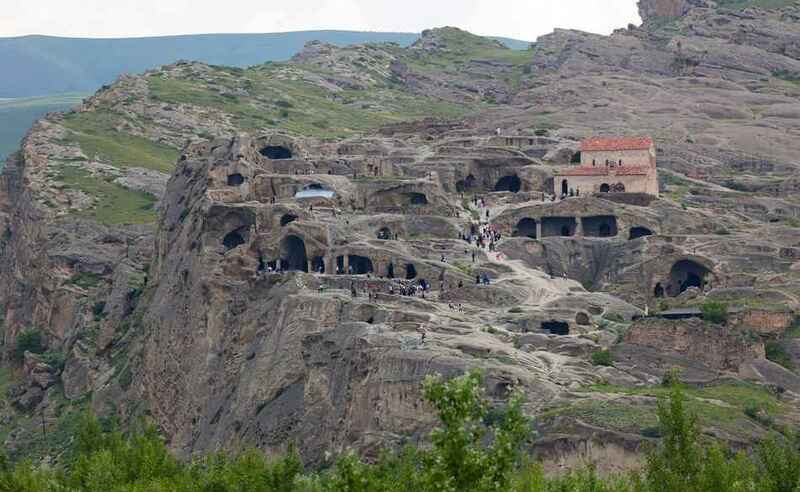 Here many of the homes have been made out of caves located in cone-shaped rock-formation, making the complete village look like a gigantic termite colony. Afterwards we visit the magnificent, labyrinthine covered bazaar. 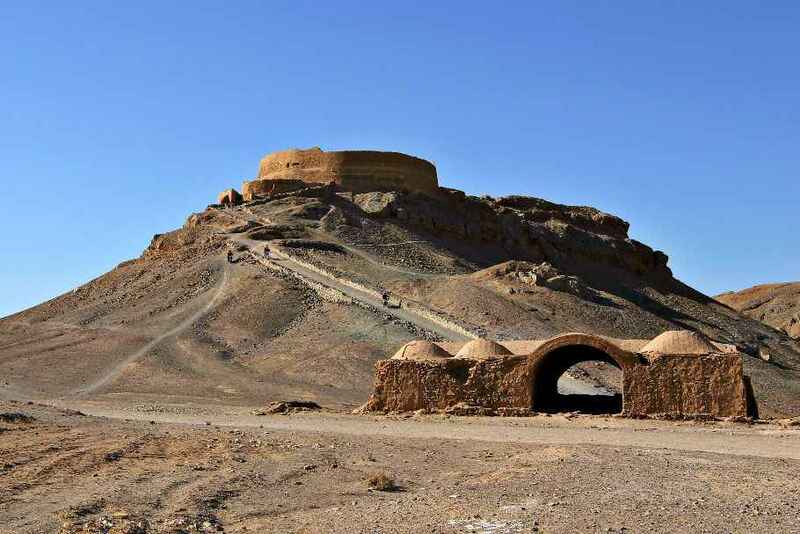 Covering some 7 sq km with 24 separate caravanserais and 22 impressive timches (domed halls), construction began over a millennium ago, though much of the fine brick vaulting is 15th century. There are several carpet sections, spice shops, gold and jewellery stalls, and a couple of hat shops selling traditional hats made of tightly-curled astrakhan wool. After breakfast we depart for the Iranian/Armenian border town of Meghri. Soon after crossing the border we start to climb into the Shikahogh Nature Reserve. Skirting the Tsav River we continue onto the town of Kapan. 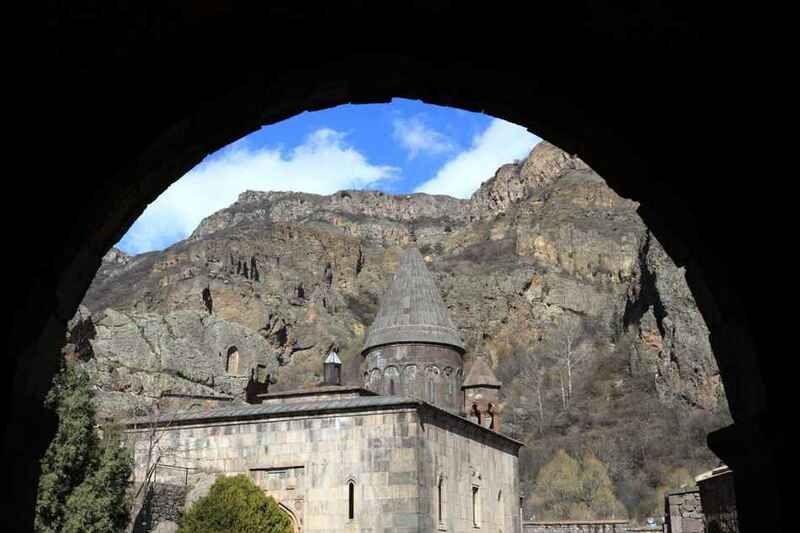 From here we enter beautiful mountain forests until we reach the town of Goris. 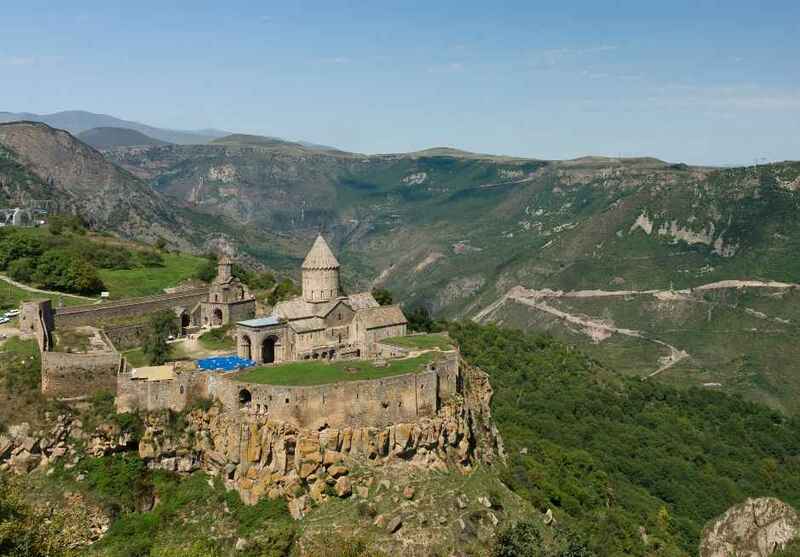 This morning we depart for nearby Tatev. 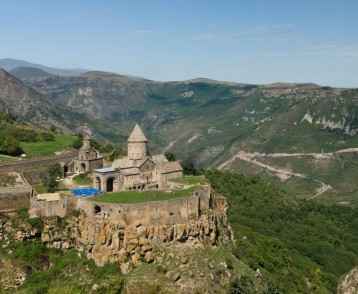 Perched on a natural fortress of rock on the edge of the Vorotan, the location of Tatev monastery is simply jaw-dropping. We take the longest aerial tramway in the world, 7.5km to the fortress. 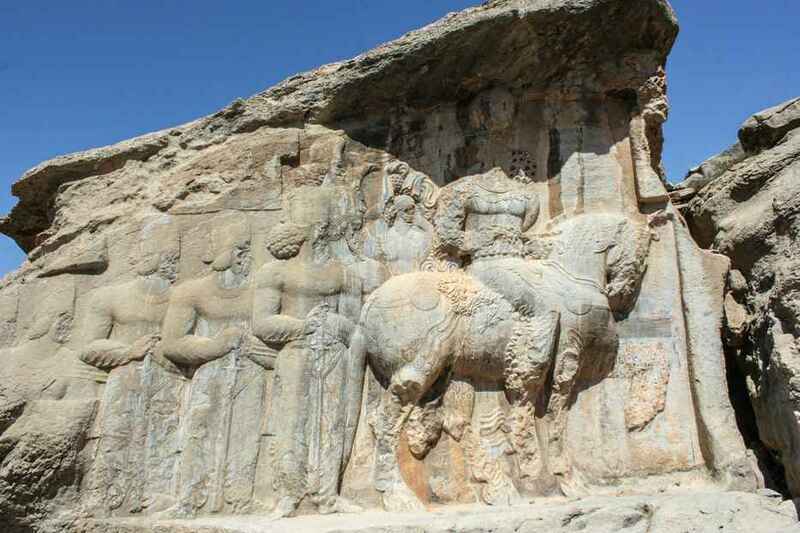 After our visit here we climb onto a high plateau before reaching the iconic location of Khor Virap Monastery. 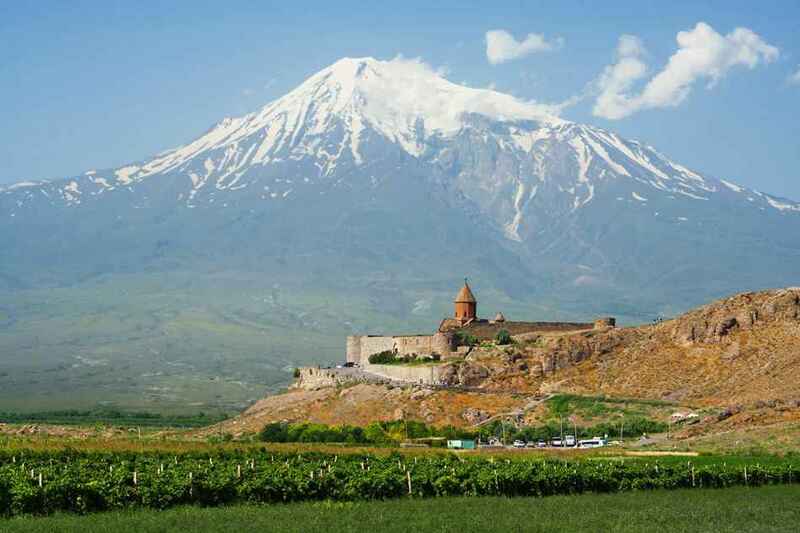 Situated on a hillock, and surrounded by pastures and vineyards, the monastery lies at the foot of Mount Ararat. The vista of the snow-capped mountain and the monastery is simply awe-inspiring. We continue onto the nearby Armenian capital, Yerevan. With its imposing views of Mount Ararat, and dating back to 8th century BC, Yerevan is located across a gorge through which the Hrazdan River meanders on its journey to Lake Sevan. Legend has it that the name ‘Yerevan’ derives from an Armenian expression made by Noah as he looked towards the city after the ark had landed and the flood waters had receded: ‘Yerevants!’ he cried, which means ‘it appeared!’ Today we explore this ancient city, visiting the markets, the Genocide Memorial, Swallow Fortress and Mair-Hayastan for a panoramic view of the city. After breakfast we head out of Yerevan to nearby Garni temple. 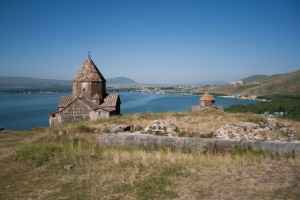 Originally pagan and dating back to the 1st century, it became a summer house for Armenian royalty after Christian conversion. 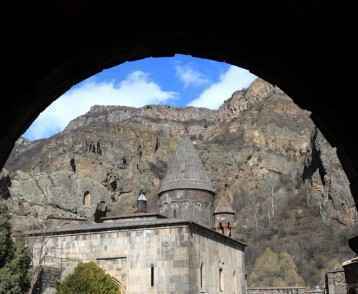 We then drive through a stunning canyon to reach the ancient monastery of Geghard. 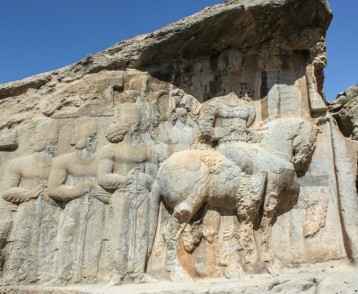 Surrounded by cave churches, Geghard was named after the lance that pierced Christ’s side at the crucifixion. Indeed the spear itself was kept here for five centuries and is now housed at Echmiadzin. In the afternoon we enter the brandy factory of Ararat, home to what is reputedly the best cognac in the world. Churchill himself ranked this as his favourite brandy and Stalin used to send him 300 bottles of 20-year-old Ararat cognac every year. 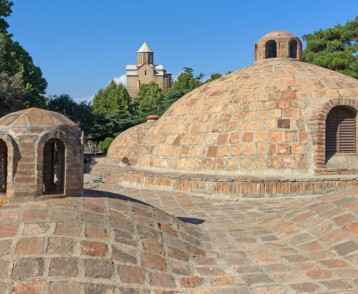 Leaving Yerevan for Lake Sevan, we make our first stop at Echmiadzin. Here in AD301 Grigor Lusavorich saw a beam of light fall to the earth in a divine vision. He built the Mother Church of Armenia on the site and today it is a place of unparalleled importance as the birthplace of Christianity. 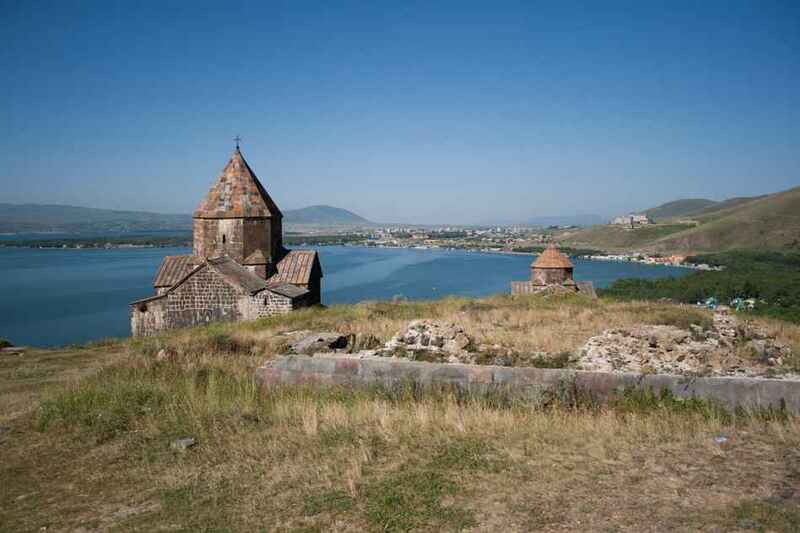 We continue to Lake Sevan, the Pearl of Armenia, which is surrounded by beautiful villages and picturesque mountains. Lake Sevan is the largest freshwater lake in Transcaucasia and, at more than 2000 metres above sea level, one of the highest in the world. It is the pride of Armenian people and where almost all Armenians spend their summer holidays. 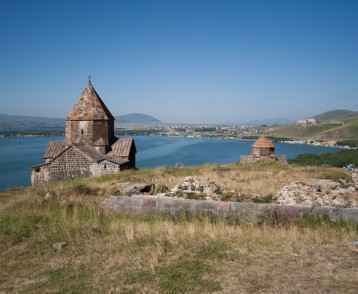 We explore the lake and its surrounds by boat and enjoy a lunch of Sig, a delicious fish that is endemic to Lake Sevan. Later, we continue to the dense forests of nearby Dilijan. Described as ‘the Switzerland’ of Armenia’, Dilijan is home to lush oak and hornbeam forests and surrounded by imposing snow-capped mountains. It has historically been a retreat for artists, composers and cinematographers. Walking through pastures of mushrooms and herbs it is easy to see why people gather inspiration from Dilijan. We enjoy a BBQ lunch deep in the deciduous forests of the region. This morning we drive through Debed Canyon. Flanked by the Debed River, the historic canyon is the main artery that links Armenia with Georgia. Crossing the border we head to the Georgian capital Tbilisi, the beating heart of the Caucasus. After lunch we take a cable car from Rike Park – opposite the Old Town – to Narikala Fortress where the statue of Mother Georgia looks down over the city below. The views from here are superb, with striking examples of modern architecture sitting side by side with centuries old buildings. 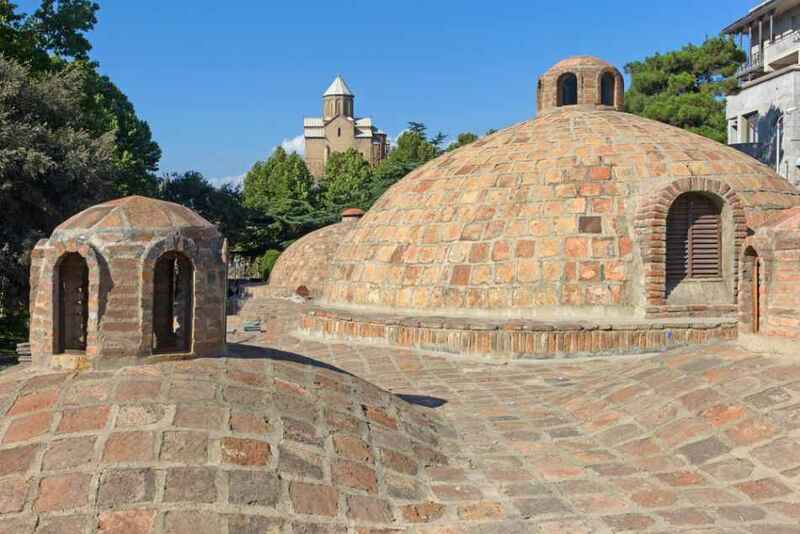 Later we visit the Godirdi Baths, which for hundreds of years were one of Tbilisi’s main attractions. Today we continue to explore this eclectic city with a visit to the National Museum and a walking tour of the delightful Old Town. A labyrinth of winding streets and twisting alleys, Tbilisi Old Town is a fusion of Asian and European influences, with doorways leading to hidden courtyards and buildings adorned with picturesque sagging balconies and carved pillars. Walking through these winding streets gives a flavour of old Persia. Leaving Tbilisi we head north for the amazing cave city of Uplistsikhe. 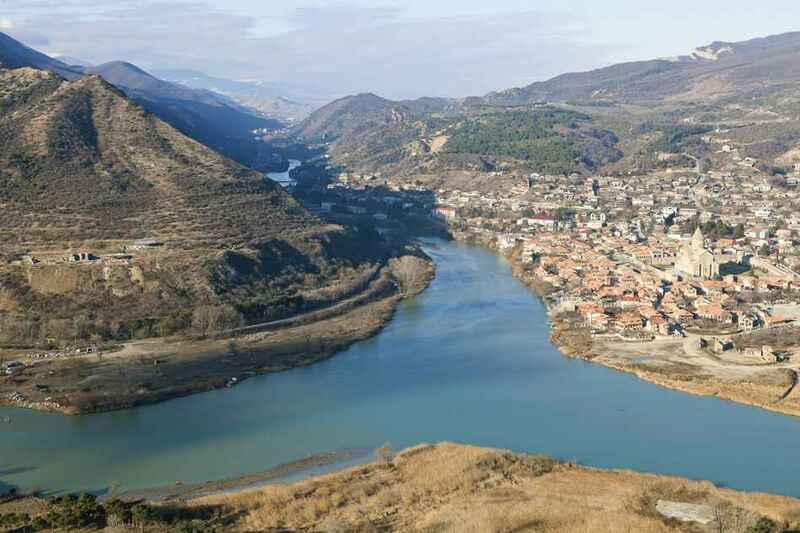 Inhabited since the 6th century BC, Uplistsikhe was home to some 20,000 people. 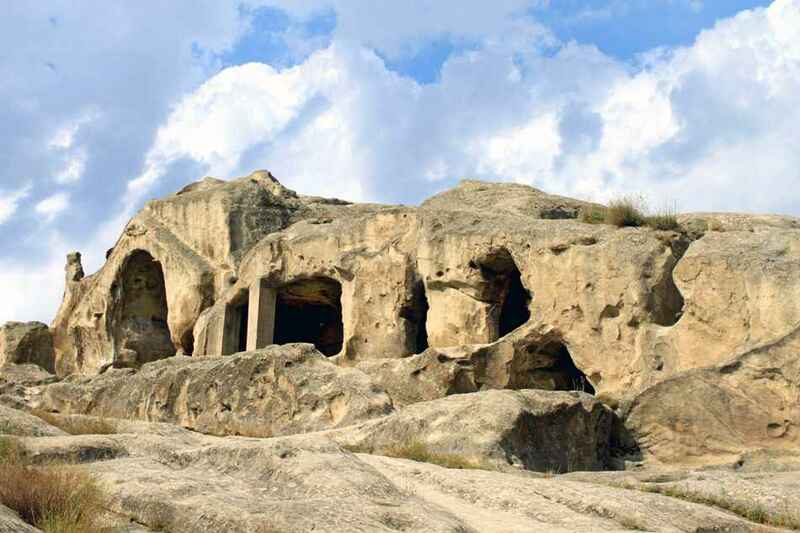 The cave city now has an area of 40,000 square metres and has wonderful views of the Mtkvari Valley. After our visit here we head to the town of Gori. This town is synonymous with Stalin as this is where he was born and went to school. Visiting this town is like stepping into a giant history book which brings Stalin back to life. We visit the museum of Stalin and the house where he spent the first four years of his life. We also see his bullet proof train carriage. After breakfast we drive along the Georgian Military Highway to Kazbegi. On arrival at Kazbegi we board our 4WD vehicles for the exhilarating drive into the Royal Range of the Caucasus where we enjoy a barbecue amongst the spectacular scenery of the towering mountains. Later we return to Tbilisi. 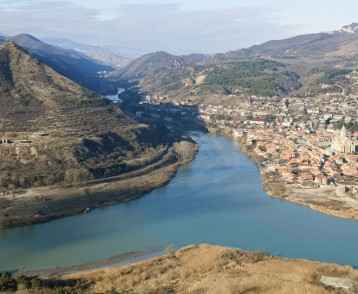 Today we drive through beautiful scenery to the eastern wine growing region of Kakheti and onto Lake Lopota. Surrounded by forests, the small lake lies in the foothills of the southern Caucasus and will be our base to explore some of the most amazing wine growing country in the world. Wine is an inherent part of Georgian culture and everyone here agrees that the best wines come from this fertile province which Alexander Dumas referred to as “the garden province of Kakheti”. Winemaking in Kakheti stretches back some 7,000 years and 500 of the world’s 2000 grape varieties are found in Georgia. In 2006 Russia banned Georgian wine, forcing the country to find new markets for its products, and today Georgia exports its wines all over the world. 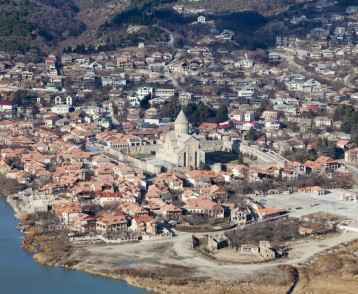 But wines are not all that Kakheti has to offer: it is an area rich in history with many beautiful churches, castles and mansions, and warm and friendly people. After breakfast we drive through beautiful countryside to the town of Telavi. Here we visit the elegant palace of Tsinandali, which was the home of Tsar Alexander the 3rd. The park and gardens surrounding the palace are beautifully laid out in an English style, with trees and exotic plants such as ginkgo, sequoia and yucca. After our visit here we return to Lake Lopota. Early this morning we leave Tbilisi. Shortly afterwards we reach the border with Azerbaijan and then continue through to Sheki. One of the most ancient cities of Azerbaijan, Sheki is located on the picturesque hillsides of the Caucasus Mountains with a backdrop of snow-capped peaks. After lunch we explore the city including the magnificent Palace of the Sheki Khans. Built in 1762, the palace complex was constructed without the use of a single nail, and with beautiful coloured glass imported from Venice. 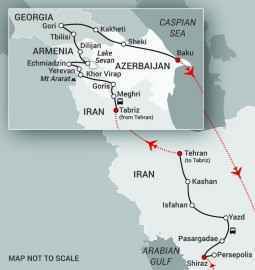 After breakfast we begin the 350km drive to the capital of Azerbaijan, Baku. After lunch we begin to explore the new part of the city. Located on a peninsula washed by the Caspian Sea, Baku has a history of more than two thousand years. Having carefully preserved the cultural treasures that have been accumulated over centuries, Baku entered the 21st century as one of the most modern and beautiful cities in the world. Today we set out on foot and explore the Old City. Early this morning we transfer to the airport for our flight to Dubai. In Dubai we connect with our chosen flight to Australia. We arrive back in Australia today. As Iran is a Muslim country are there dress requirements for women? Yes, there are mandatory dress requirements for women. A hijab or scarf covering some of the hair is required in all public places and including the Iran Air flight from Dubai to Shiraz. A full length skirt, trousers or jeans is also a must. A loose fitting top that covers most of the arm up to the lower elbow is also needed. Are there any dress requirements for men? Shorts are not permitted. Apart from this tee shirts or anything else is acceptable. Is alcohol available in Iran and can I bring in duty free liquor? Alcohol is forbidden in Iran, though all establishments sell non-alcoholic beverages such as beer. On entry through Iranian customs all bags will be x-rayed and duty free alcohol will be confiscated. 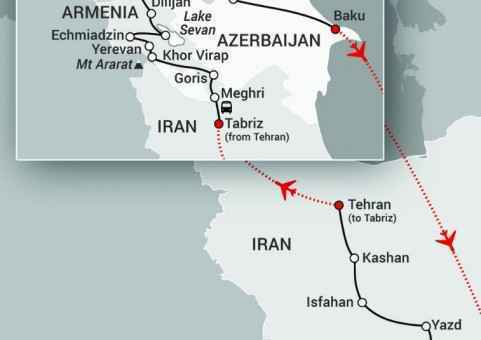 I have heard that the Iran/Armenian border is difficult to cross. The Norbusz/Meghri border is very quiet and we would expect to cross this border in around one hour. The border between Armenia and Georgia is also simple. I have seen on TV and in the newspapers that Iran is a dangerous place and they dislike westerners? Actually Iran is one of the safest countries in the world. Although the country possesses remarkable and astounding historical and archaeological treasures, what makes any visit here so rewarding is quite simply, its people. Sophisticated and educated and possessing consummate manners, the hospitality of Iranians is a humbling experience. What is the standard of hotels on this tour? Generally they are four to five stars. Most are centrally located and all have wifi. We have chosen our hotels on this tour with great care and the criteria for selection is based on ambience, historical significance and location. Do we need visas for all counties and are they difficult to obtain? The visa for Iran is obtained by us from the Iranian consulate in Canberra. Visas are issued two weeks before departure and all backup documentation is supplied to the consulate by Travel Directors. 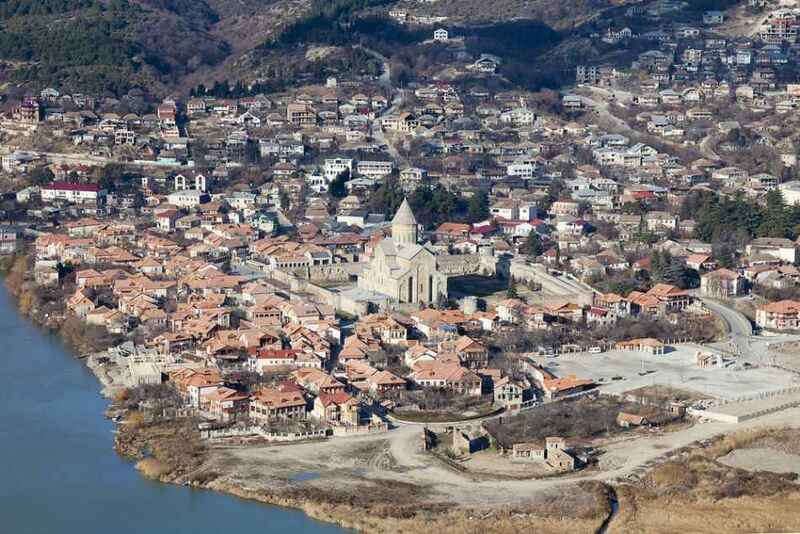 The Armenian visa is obtained easily at the Iranian/Armenian border and now Australians no longer need a visa for Georgia. What vaccinations are required for this journey? No vaccinations are mandatory on this route but we would recommend you seek advice from your doctor. Tetanus should certainly be up to date and a flu jab is useful to help prevent colds. What will the climate be like in May? May is spring time in Iran and although warm is the best time of year to travel. The temperatures will be much cooler in Armenia and warmer again in Georgia. A full temperature guide covering the entire journey will be provided in the tour handbook which we send out in the weeks prior to departure. US dollars in small denominations, clean and post 2006. How much spending money will I need for the entire trip? Because almost everything is included, we would recommend an amount of $700 USD per person. Iran is effectively cut off from the international banking system. This means that no international visa or mastercard will work at ATMs. However, large purchases such as carpets can sometimes be made by visa or mastercard. American Express cards cannot be used. In Armenia, Georgia and Azerbaijan, most cards will work at ATMs. Telstra, Optus and Vodaphone should work in all four countries. We don’t believe in a lot of expensive ‘optional tours’. Our itineraries are designed to make the best possible use of time and to include all the must-see sights, plus additional surprises. Therefore practically everything is included in the tour cost.